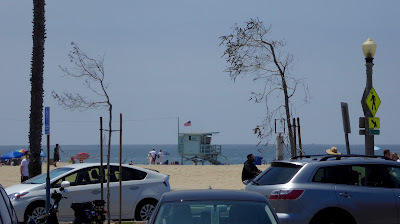 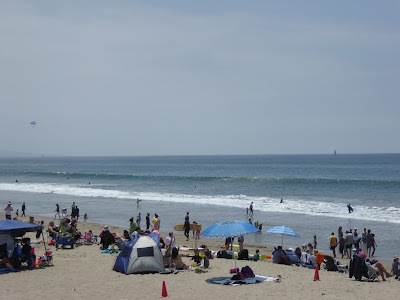 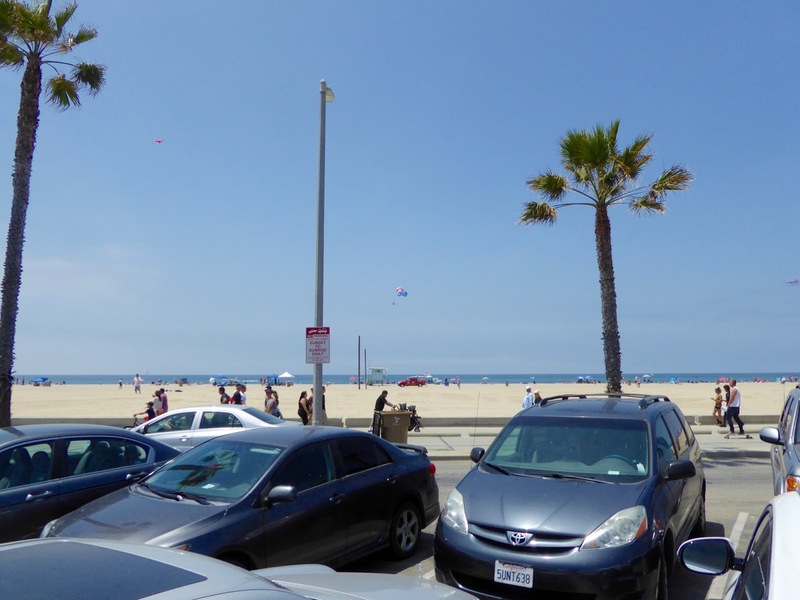 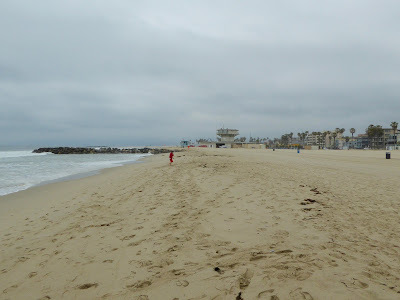 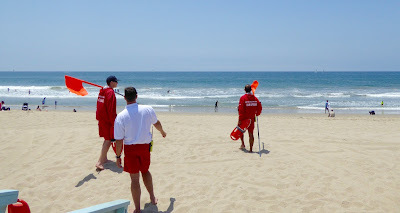 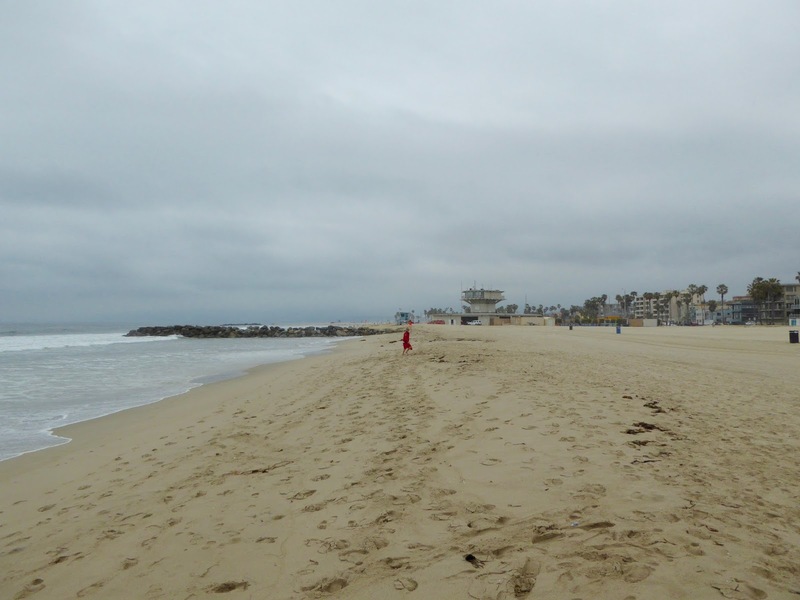 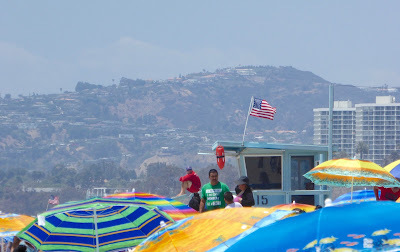 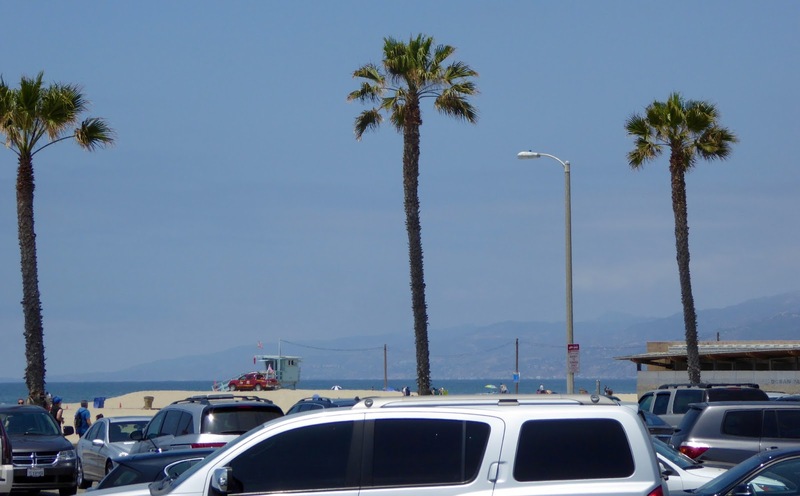 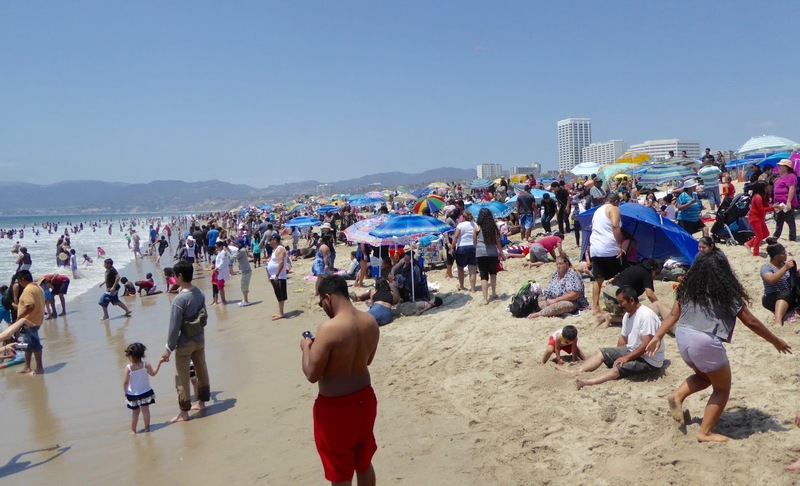 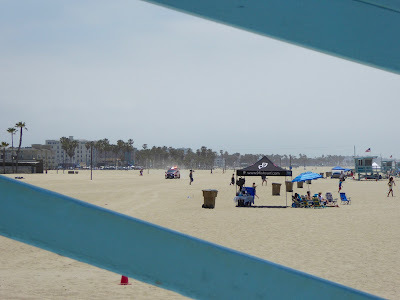 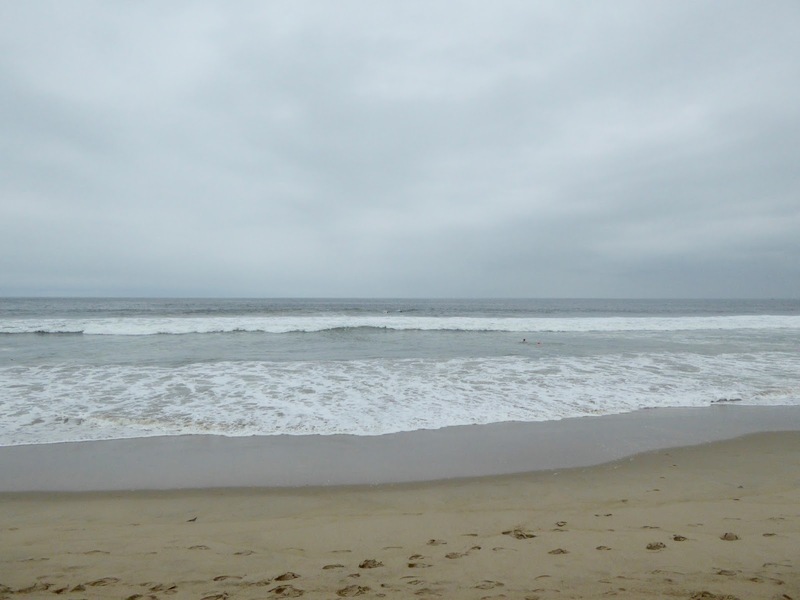 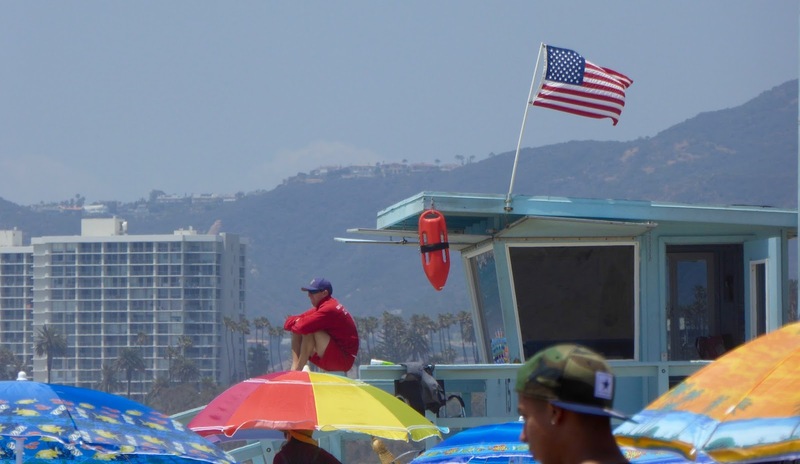 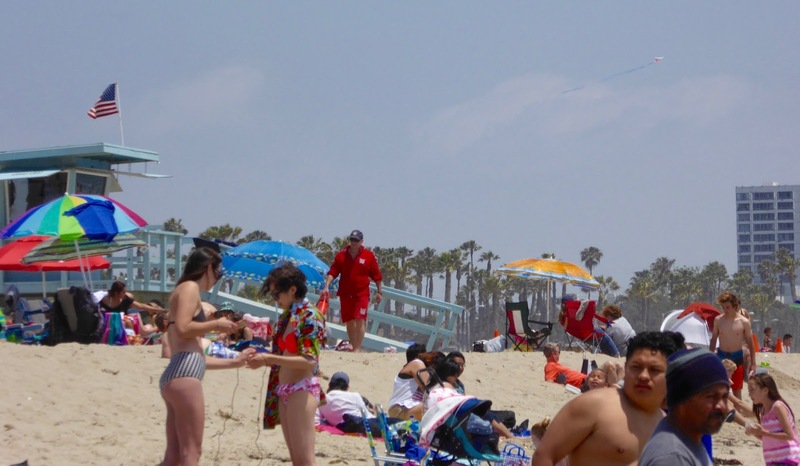 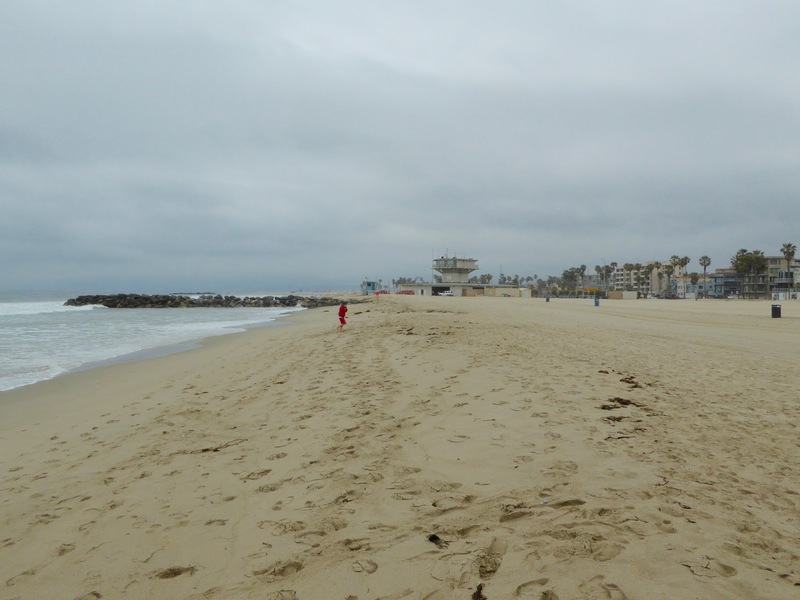 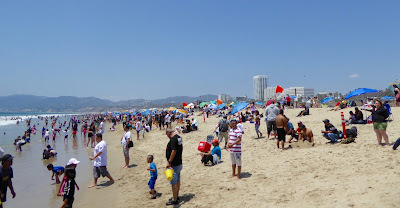 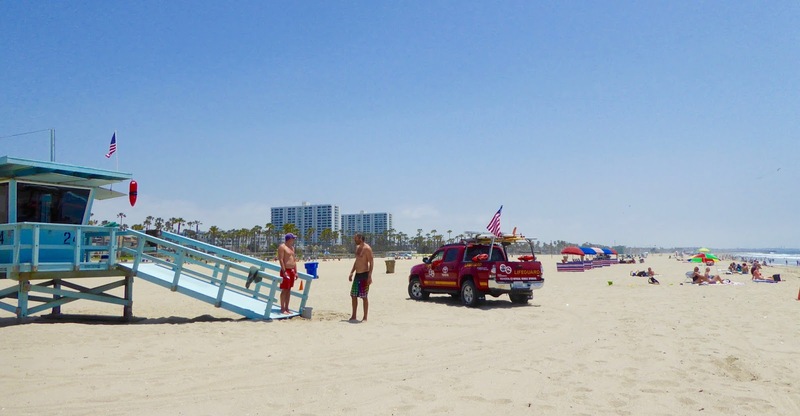 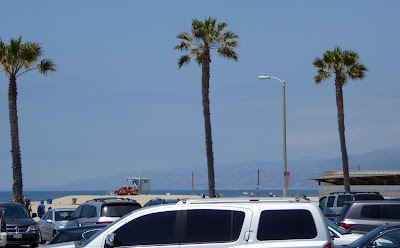 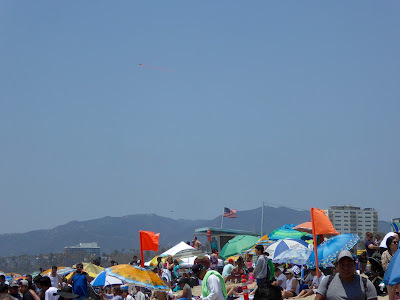 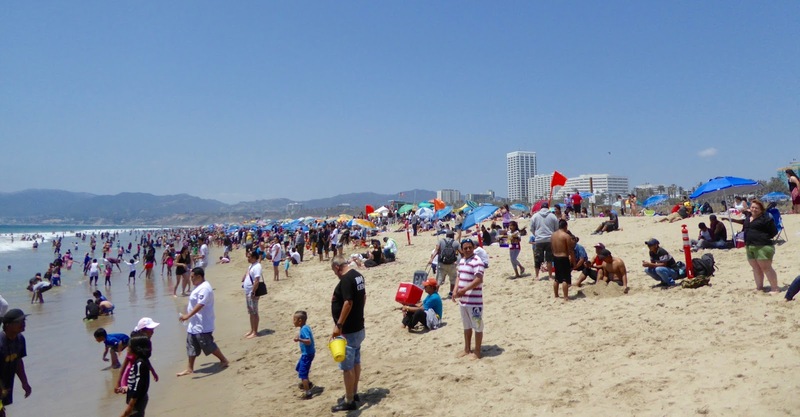 Dateline: Monday, May 30, 2016, Memorial Day along Santa Monica South and Santa Monica North... early afternoon off duty foot patrol featuring photos and a video of the packed crowd at SMN 1550. 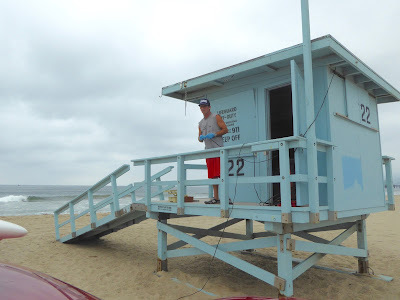 And look who is working SMS Tower #25? 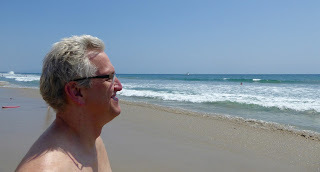 Big Bad Bob Kilroy (aka, Lightning Bob)! 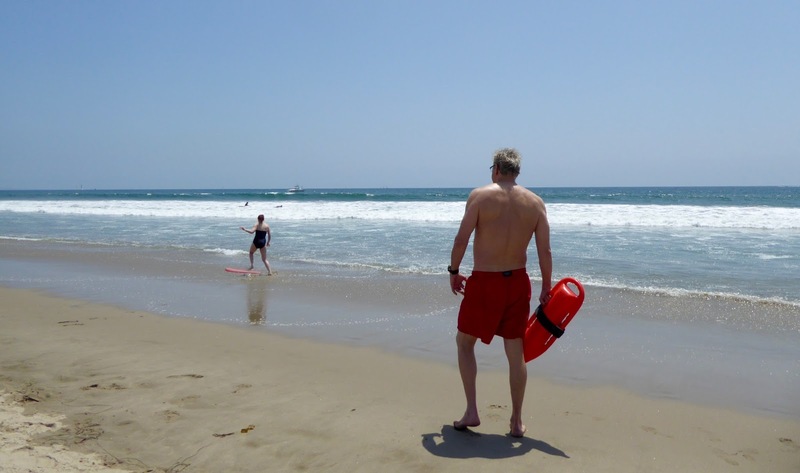 Really stoked to see the Doctor out pounding the hard pack on SMS on Memorial Day! Dateline: Temescal Gateway Park, in the Santa Monica Mountains, in Pacific Palisades, California. Just past 12 noon on Sunday, May 29, 2016 (Memorial Day Weekend)... the Los Angeles City Fire Dept. (LAFD) gets a message of a hiker in distress. 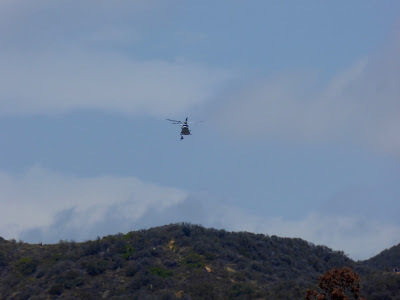 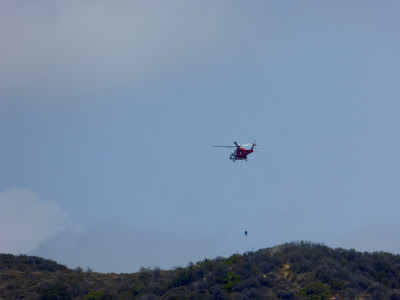 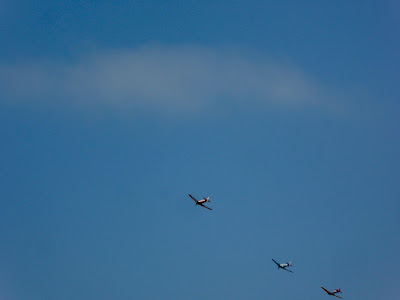 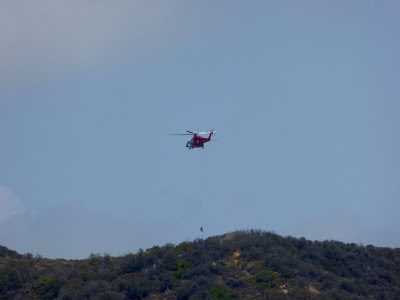 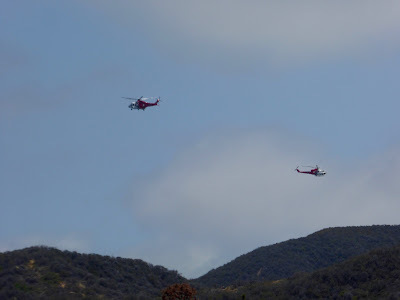 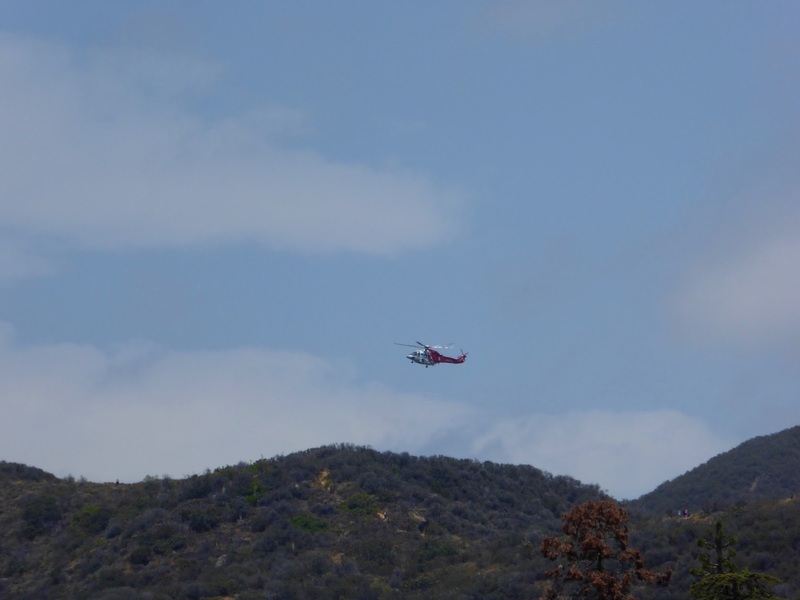 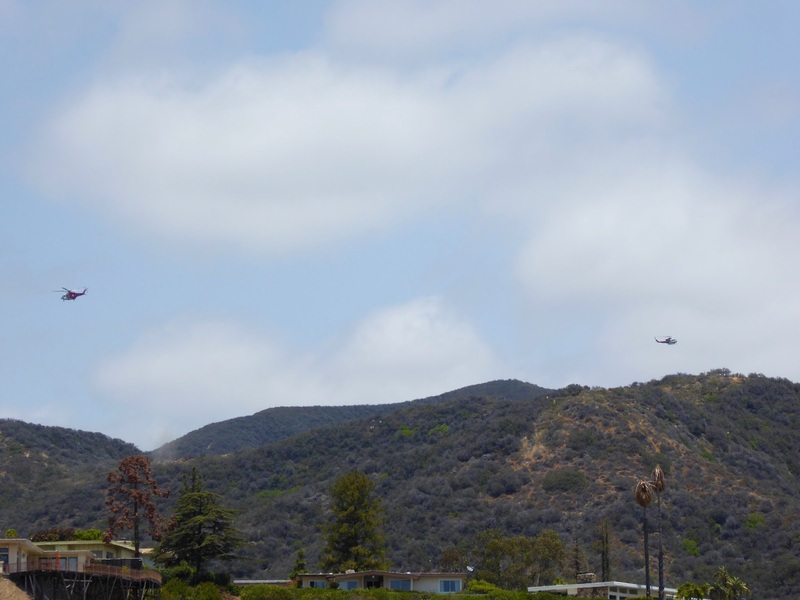 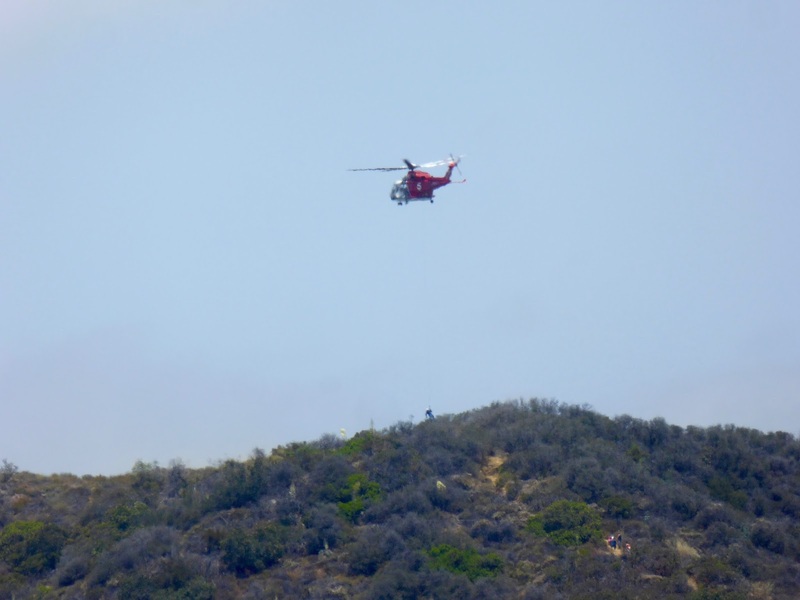 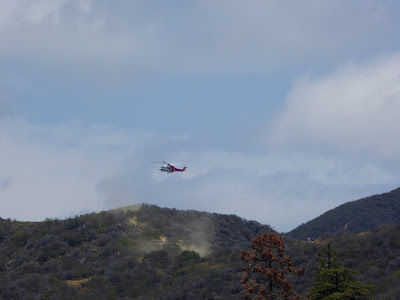 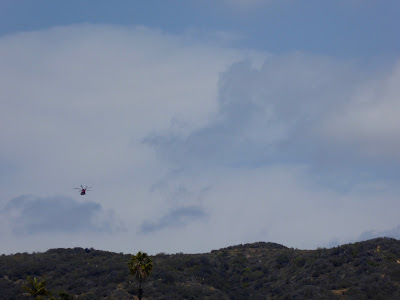 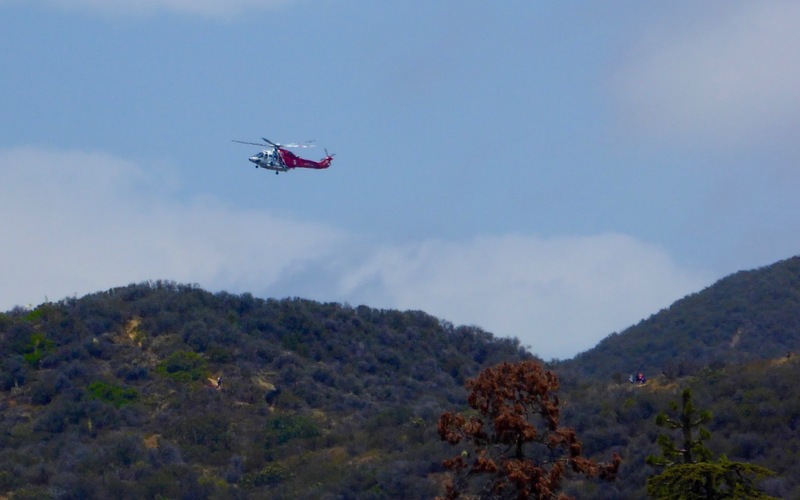 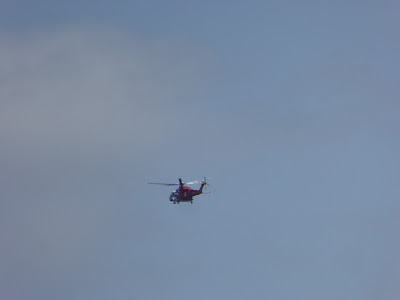 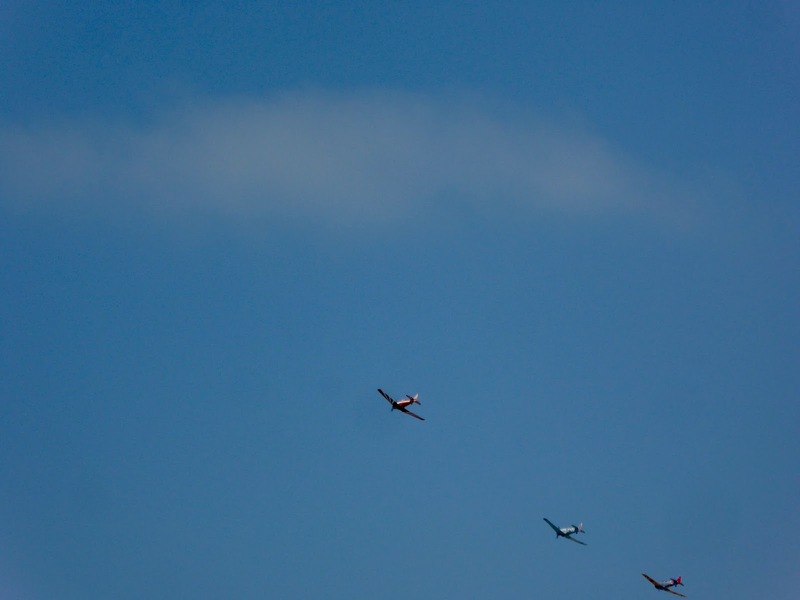 At the time I was a couple of miles away but could hear the two LAFD helicopters (4 and 5) circling high above on a ridge line. 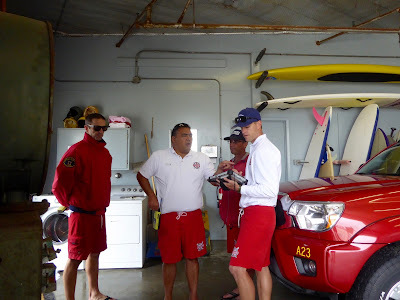 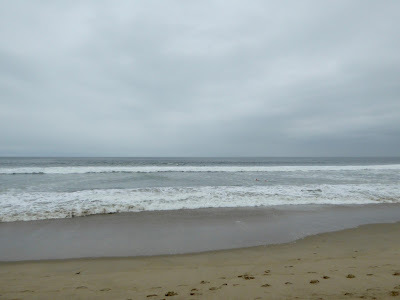 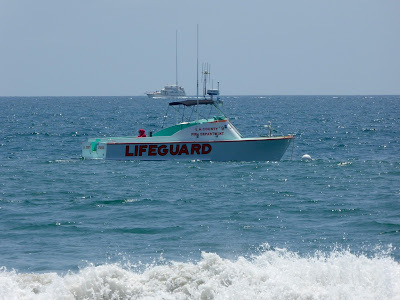 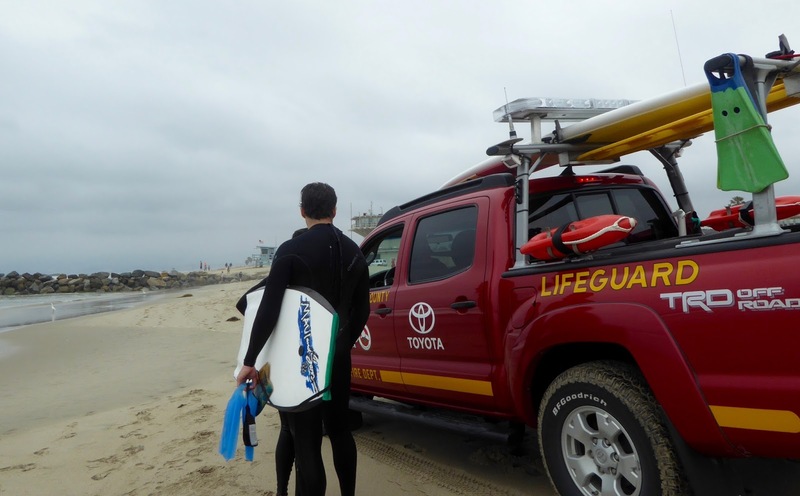 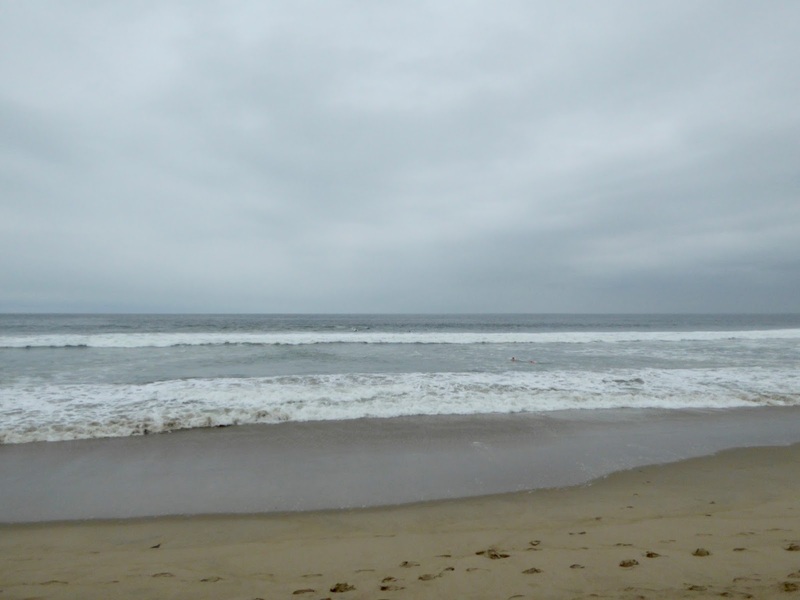 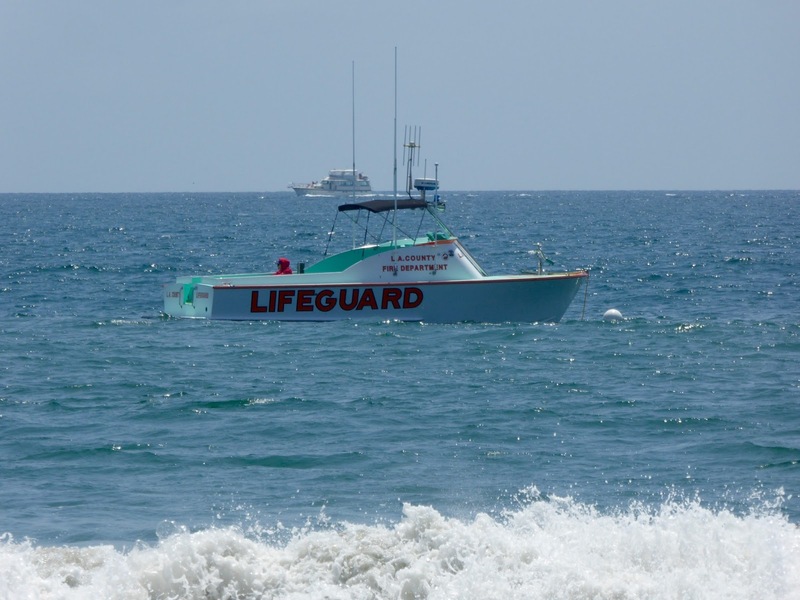 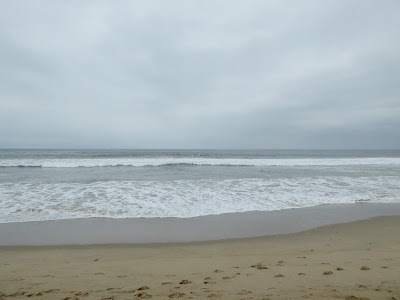 Kevin Curtis used his radio and stated his location at Ave-26 and that he was going in the water and requesting back up. 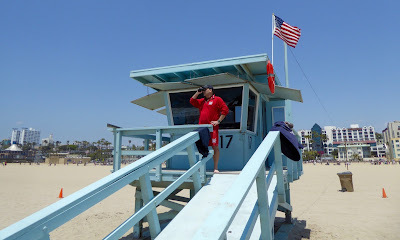 I arrived, while off duty... and observed OL Baer hit the water. 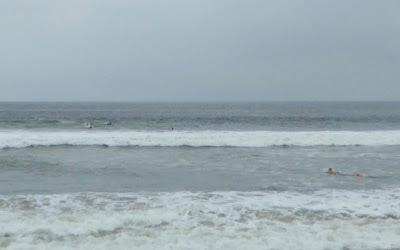 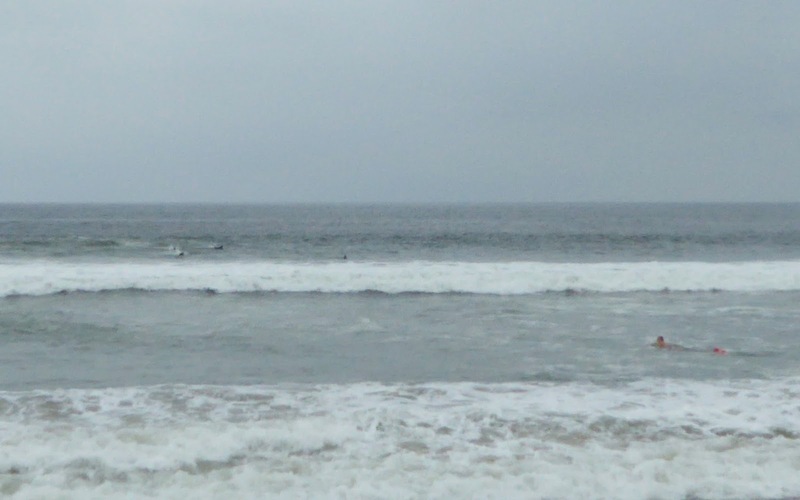 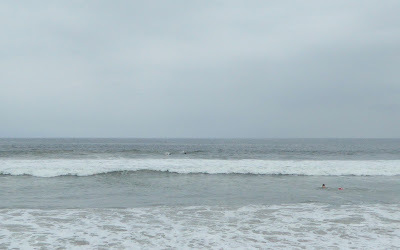 I then snapped a couple of quicks photos and then stripped down to my board shorts, grabbed my DaFins... and also hit the water..... OL Baer brought two victims to shore who were latched onto his rescue can, the surfer (x-ref: Wavestorm soft top) made it to shore alone, and I was able to assist a bodyboarder and her boyfriend to shore along with Veteran LACo OL, Renee Locarnini (who had been standing by as part of the WATER program at the Venice Garage where the young lad was being treated for the stingray injury). 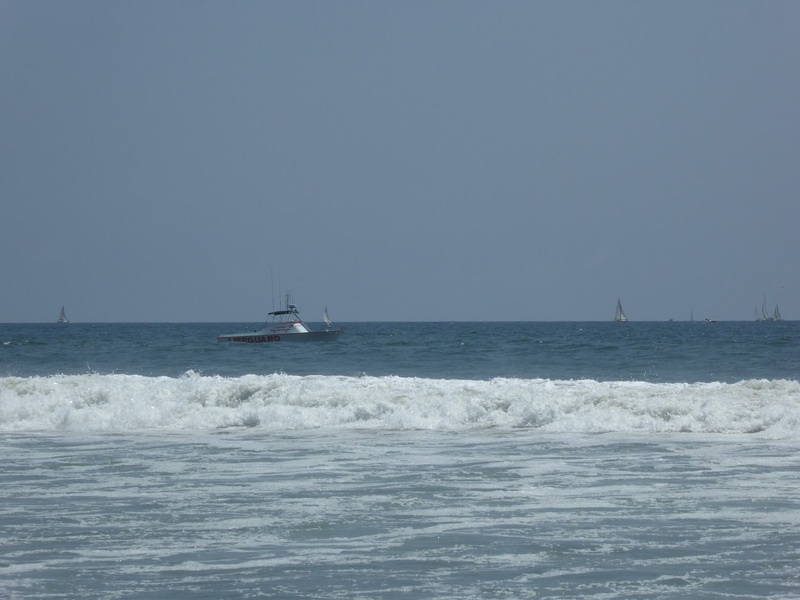 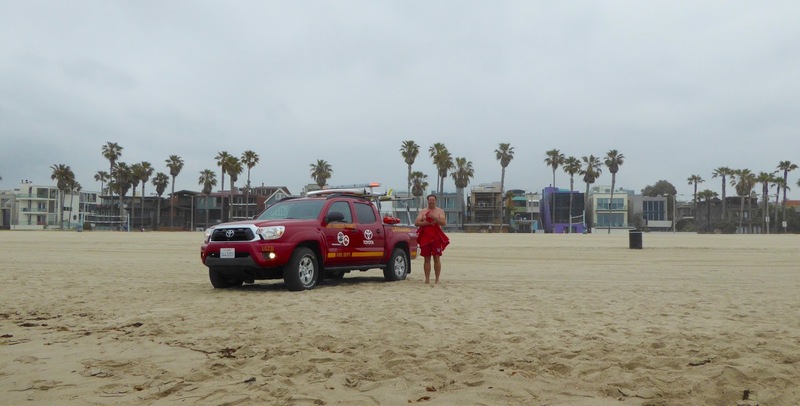 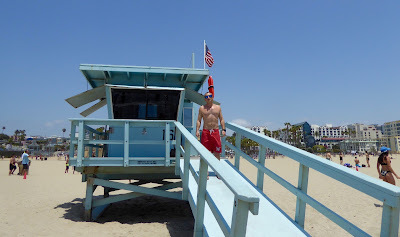 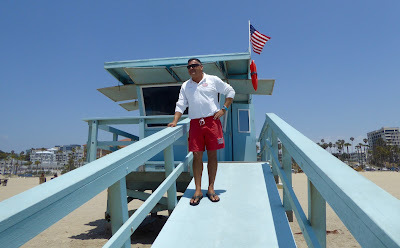 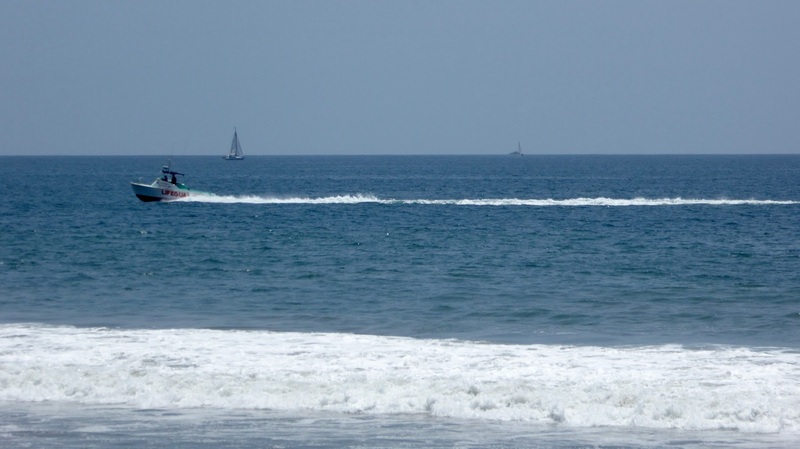 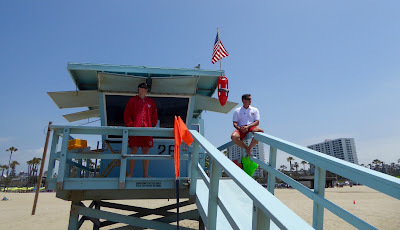 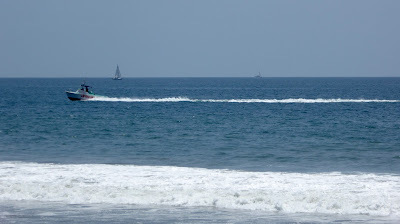 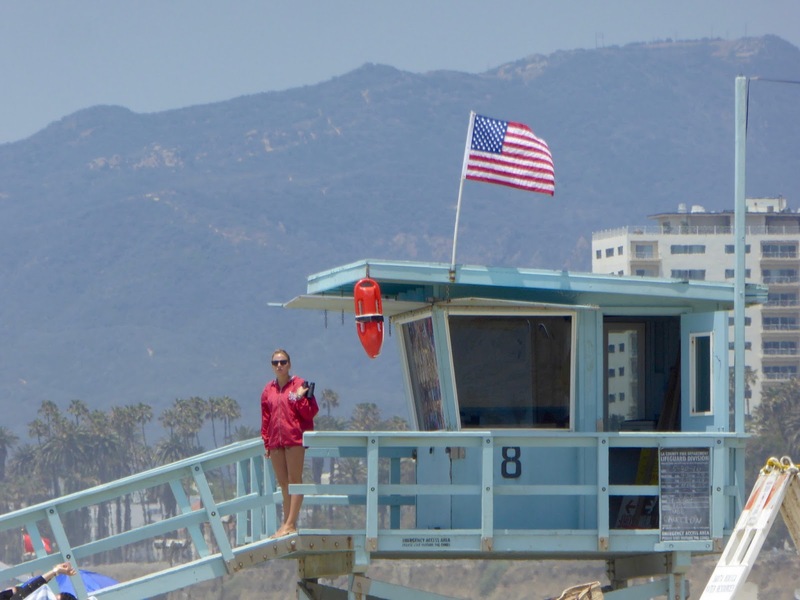 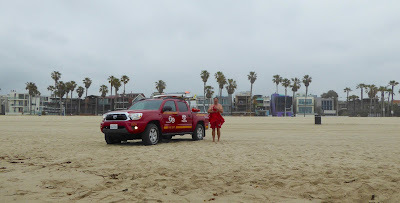 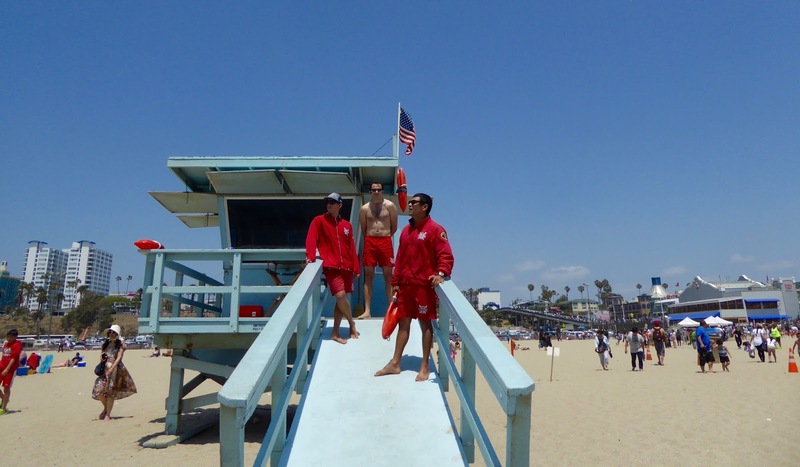 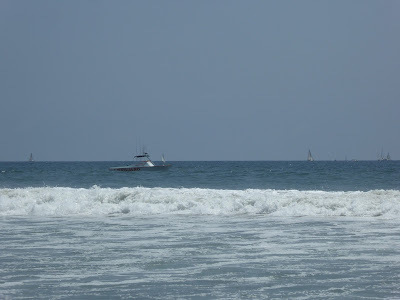 Also in the water from the Venice Pier was (overtime shift) OLS, Dave Kastigar, who did a double take on seeing me in the water! :-) Woohoo!... 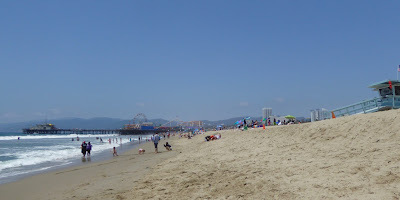 We could make all this up but we didn't have to!... 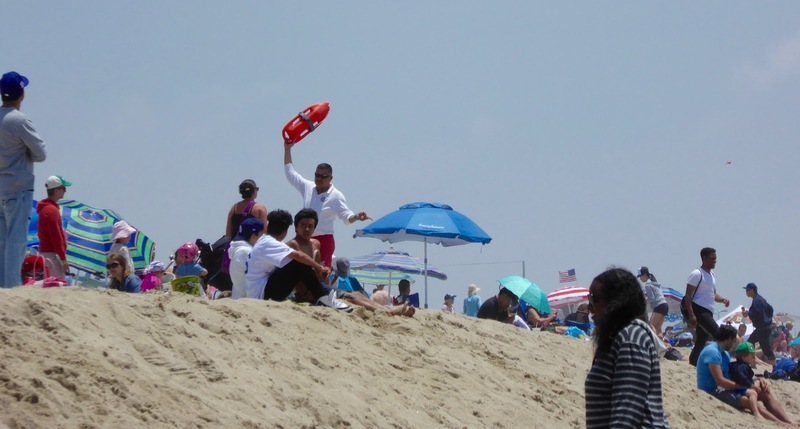 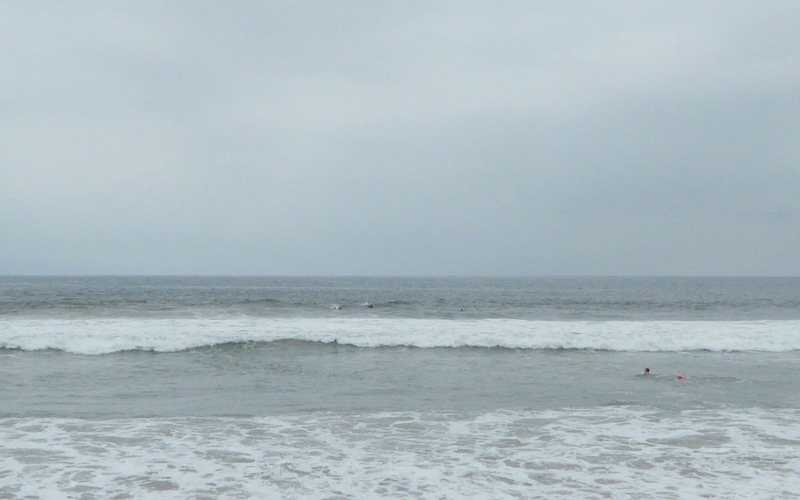 Everybody made it shore AOK. 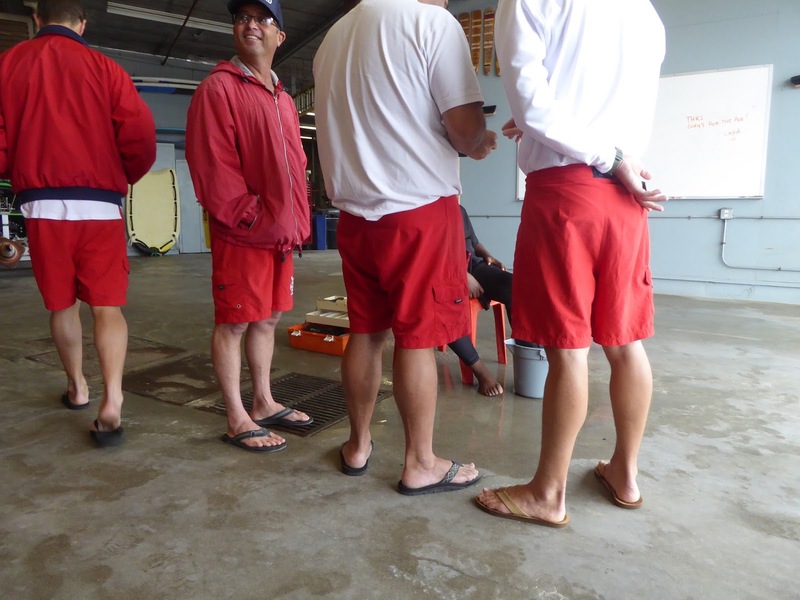 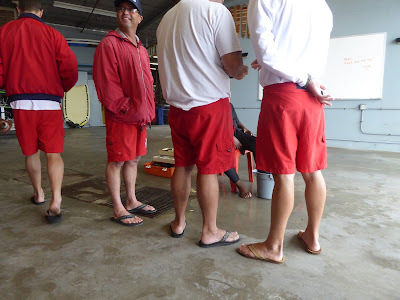 Back at the Venice Garage, L2R, OLS Kevin Curtis, Capt. 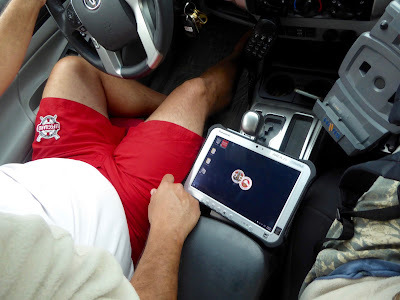 Eugene Atanasio, OLS Cosmo Flynn, and OLS Matt Rhodes discussing the use of the Dept's new digital EMS tablet (which Matt is holding and using). 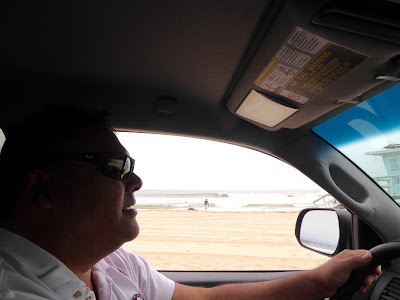 I was able to hitch a ride back to CSHQ with Capt. Eugene! Thanks Eugene!